Casino Offers and Promotions in October (2018) - View and Claim! That summer heatwave now seems a long time ago, as the Professor turns to his sheepskin coat due to temperatures tumbling. Yet, he has plenty of toasty casino bonuses and free spins to warm yourselves up with in October, so don’t let the cooler days get you down. Are you ready…? Mr Green is a household name in the industry, with the Professor tipping his own hat to the bowler-wearing gentleman. From now until Tuesday 23rd October, Mr Green will be releasing 1,000 bonus spins every day. You need to play the Reel Thrill tournament at 19:00 to take part, with a finish in the top 22 landing you a prize. Check out Mr Green’s Promotions page upon arrival to see this, plus plenty more enticing treats. 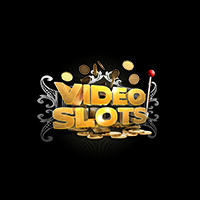 Despite having one of the largest slot libraries in the business, Videoslots aren’t simply resting on their laurels. Instead, they’ve got poker-style slot tournaments to enjoy – not just every day, but every hour! Take part in Sit & Go’s and freerolls, and know that some competitions even allow re-buys – just in case you make an unfortunate early exit and fancy a second bite. For casino and poker lovers, Battle of Slots is the perfect blend of both. Fancy Yourself as a Rizk Racer!? Rizk is one of the Prof’s most trusted online casino domains. Why? Well, they offer a quality platform full of top games, proper support and the special Wheel of Rizk bonus dispenser. When you’re in the mood for the reels to spin rather than the wheel, Rizk have their very own Rizk Races – with free spins for the fastest! Another online slot tournament provider is BGO, a casino that’s notorious for a NO WAGERING policy on bonuses. In short, whatever you win at BGO is yours to keep – no strings attached! However, they’ve also worked behind the scenes to spruce up your Sunday gaming thanks to dedicated slot tournaments. Several competitions are held throughout the day, with prizes ranging from no wager free spins to European city breaks. That’s all in a BGO Sunday! If you’re after an online casino adventure, Casino Heroes often tops the pile of choices. You’ll battle your way through various islands, beating bosses along the way, to land a few bonuses. However, there are also the quick boosts for those who can’t wait too – from free spins on Game of the Week to deposit offers. Also, Casino Heroes recently released their Blitz version of certain games. As the name suggests, this allows you to spin more quickly – maximising your sessions. Try it out!